The EarlyEdCon 2018 schedule is now available. EarlyEdCon uses Sched for the event schedule. Sched allows you to check sessions and create your personal event schedule from your mobile device. You can even create an iPad or iPhone app of the schedule for easy reviewing and to check updates throughout the conference. All you need to do is create a free account and you will be able to set up a profile and build your personal event schedule. Thank you to myKidzDay for sponsoring EarlyEdCon 2018! myKidzDay is a premier provider of mobile communication app that helps child care centers track attendance, enrollment, enhance communication with parents, send electronic daily reports, pictures, newsletters, reminders, etc directly to parent’s smart phones. Progressive schools/centers nationwide are using myKidzDay to not only enhance parent communication but also to build enrollment and Go Paperless! Thank you to Mass Audubon for sponsoring EarlyEdCon 2018! Mass Audubon is the largest provider of environmental education in New England. Our statewide network of wildlife sanctuaries, nature centers, and museums serve as the base for our work in education and community outreach. Our education programs take place at our sites as well as in communities across the Commonwealth in partnership with schools, classrooms, and community-based organizations. Almost half a million visitors of all ages, abilities, and backgrounds visit our sanctuaries each year, and we reach 235,000 youth, families, and adults per year, including about 98,000 K-12 students and over 25,000 preschoolers. We operate four licensed preschools that serve 300 families in Boston, Metrowest, and Western Massachusetts. Our goal as a nature-based early childhood education provider is to share the benefits of nature-based learning and play (NBLP) with children and families from all backgrounds. We support early childhood learning and play in nature through a suite of classroom and outdoor programs for early learners focused on exploratory play in nature and early science “habits of mind”; the development of integrated, nature-based STEM preschool curriculum units; professional development for early childhood educators; and parent-specific resources. Learn more about Mass Audubon. Thank you to Lakeshore Learning Materials for sponsoring EarlyEdCon 2018! Thank you to Cadence Education for sponsoring EarlyEdCon 2018! With over 170 private preschools and elementary schools, Cadence Education is one of the premier early childhood educators in the United States. Next Generation Children’s Centers are a subsidiary of Cadence Education is an organization that is committed to excellence and inspiration in early childhood education. We pride ourselves in not being a traditional daycare, but instead, a private preschool that provides a curriculum that will prepare children for kindergarten and beyond. We are currently looking for inspired and well-qualified teachers for our 10 premier locations in Massachusetts. Learn more about careers at Cadence Education. Thank you to Barefoot Books for sponsoring EarlyEdCon 2018! Barefoot Books is a women-owned children’s book publisher based in Cambridge, MA. We sell beautifully-illustrated books with stories from around the world. Our books are created to spark a passion for learning in young readers. This makes many of them just right for primary and preschool classrooms. On our website, you can find lesson plans to keep the exploration going after story time is over. Many of our picture books introduce children to other cultures, and include informative and accessible endnotes for further exploration. We are also known for publishing stories that address challenging life issues: themes include diversity and inclusiveness, social-emotional learning, and global citizenship. We place a high value on listening as a vital gateway to literacy. All of our books are prepared with close attention to the quality of language, both for reading aloud and reading alone. Many of our titles are even accompanied by audio CDs for lively story times. Contact me to purchase books for your family and friends; if you would like more information about fundraising for your school or organization through sales of Barefoot Books or are interested in hosting a Barefoot Books book fair at your school. Save the Date! EarlyEdCon returns Saturday, October 13! Please join us for the fourth annual EarlyEdCon in Burlington, Massachusetts. EarlyEdCon is a free all day conference dedicated to early education and out of school time professionals in public and community based settings. The event will focus on best practices in early childhood as they relate to children’s development, birth through school-age. Sessions will focus on language and literacy skills, social-emotional development, STEM, leadership, and other important topics in early childhood. Participants will have the opportunity to earn EEC professional development hours, continuing education units (CEUs), or professional development points (PDPs) through Burlington Public Schools. 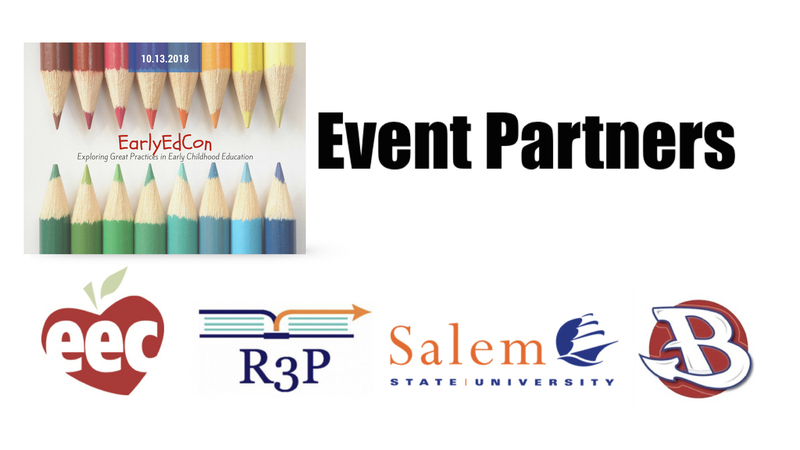 This event is a shared opportunity with the Massachusetts Department of Early Education and Care (EEC), Salem State University, the Region 3 Educator and Provider Support (EPS) Partnership, and Burlington Public Schools.